Short Sale Specialist in Bakersfield, CA Linda Banales Broker of Agentcor - 661-704-4244 - Short Sale Specialist in Kern County, Tehachapi, Lake Isabella, Taft, Delano, Wasco, NcFarland, Arvin, Lamont. 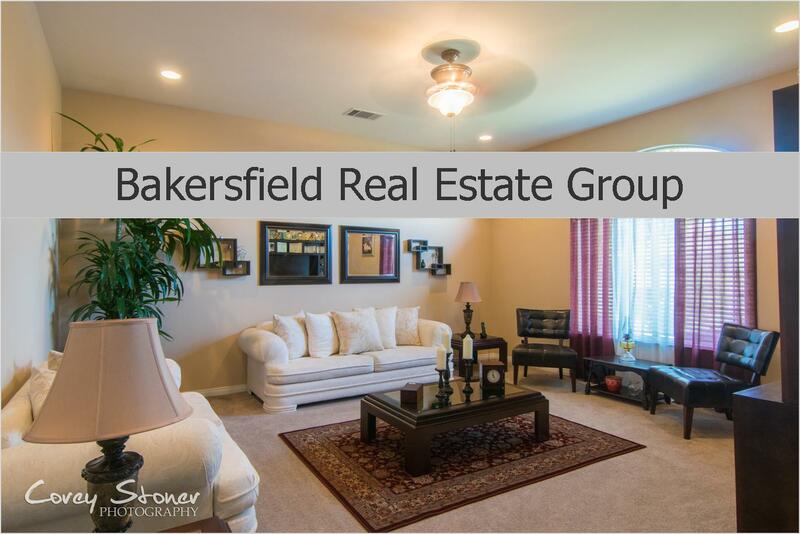 Let Bakersfield Real Estate Group help you negotiate your Short Sale! With Over 24 years experience I've helped 100's of families Buy or Sell in Kern County. I helped families in the late 90's who were experiencing a similar market to the one we are now experiencing (up side down), a HUD market, and then our Boom market and now through the worst, our Financial and Economic crisis. Through these local market trends, I've been there to help guide my Clients - which have since became dear friends. Let me help YOU! *What is a Short Sale? In the above example the property is at a minimum upside down $75,000. In order to get the bank to take an offer at $175,000, a team of experts who specialize in negotiating with banks and marketing short sale properties to the real estate community, are needed. *How long does it take? Banks can take up to 60 days to give an approval of an offer once it is received. This process can be improved by communication with the bank by your representation. Open and consistent communication is what improves the process. Ensuring that the required paperwork by the bank is correctly filled out increases acceptance by almost 50%. Some banks will destroy any application that is even off by one item. Our Short Sale team ensures that your paperwork is correctly filled out the first time so you have the greatest chance at acceptance. How long do I have until I have to move out? The bank is required to let you know when they have filed the notice of default with the county recorders office for the county you are in. The majority of banks do this after you have become 90 days late on your mortgage or 3 consecutive mortgage payments. From this time, the earliest a sale date can be set is 90 days from that date. So, you may not have to move out until 90 days after your third missed payment. What are the consequences of doing a short sale? Completing a successful short sale will mean that you will not have a foreclosure reported on your credit. This will also mean that on lending applications, where it asks if you have had a property foreclosed upon, you will be able to answer no. This is one of the single best consequences of doing a short sale. By requesting a short sale with your lender or through my staff of experienced short sale negotiators, the number of calls you receive will be reduced by over 50%. Isn't That Great? What happens if the Short Sale doesn't work? If your property does not sell as a short sale it may end up in foreclosure. It is of the utmost importance to get the bank an offer to review so that they can decide how they can best help you and to accept the offer you have received. It is for this reason that you need to have a realtor as myself, who specializes in short sales and will present offers to the bank on your behalf. What kind of information will the bank ask for? I will guide you through all of the requirements regardless of which bank and which form that is required. *This is one of the main pieces of information that the bank uses in order to make its decision. It is important that it is truthful and explains what happened to the fullest extent possible. What if I have declared bankruptcy? Bankruptcy can delay a sale of your home at a trust sale. Your bankruptcy attorney may have additional advice for you. If you have declared bankruptcy please let me know and give me your attorneys information so I may be in contact with them. Bankruptcy can delay the sale of your home. Please refer to your legal representation for detailed questions on bankruptcy. What do I do with letters from the bank? Loan Modifications- They can modify your loan so that the payment is more affordable for you and your family. Loan forbearance- This is a temporary adjustment by the bank of the requirement to pay your mortgage. They can do this for reasons such as health, job, or family issues. The amount that you do not pay is generally added to your loan balance or spread out over multiple payments. What do I do about people offering to buy my house if they want me to just sign the deed over to them? Unfortunately there are many individuals out there who do not care about helping home owners in a time of need. They, in fact, only care about being able to profit from your situation. Our recommendation is that you make sure to have a real estate professional look at anything prior to signing any offer from one of these individuals. If the person has a legitimate offer they will not care who reviews the offer. Do not sign over the deed and beware of Investor Option Contracts. How do I choose someone to represent me on a short sale? The agent you select needs to have the expertise and training necessary in order to complete a short sale transaction. The team should be experienced with loss mitigation negotiations. The representatives should be able to tell you up front if they can help you and what they are going to be doing for you. Shouldn't I just call my local realtor who markets in the area? Unfortunately 99% of real estate professionals are not trained on how to handle a property where more is owed than the property is worth. They are not trained in negotiations and not trained on how to deal with the banks and the banks representatives. Agents need to have specialized training in order to complete this process, so as to prevent further action by the bank against you. In addition, agents need to have a deep understanding of the process and be able to explain the value to the bank of working with the home owner. Are all short sales the same? Will I get a 1099 for the difference between the sale price and what I owe? Yes. Each bank is different and the vast majority of banks will send you a 1099 for the difference. The difference or shortage may be forgiven under the Mortgage Debt Relief Act. I recommend you contact your tax advisor for assistance. Why shouldn't I just let the home go to foreclosure? Absolutely Not! Think about your credit! Foreclosure is one of the biggest damages to your credit that can be done. You will have to disclose the fact that you had a foreclosure every time you try and purchase a new property in the future no matter how long it has been since you had the foreclosure. The bank will make this decision. Since the bank is losing money on the transaction they will decide what the Realtor is paid. The most important thing in this process is you the home owner and I hope to help you with a buy or purchase in the future. Is communication important & do I still have to keep calling the bank? Yes and Not with me! The number one reason for foreclosure is a lack of communication. I stop this from happening because I do the communication for you. This part is my job! I get authorization to speak to the lender on your behalf. I take care of the communication and make sure you stay informed of what is happening. I communicate with you at a minimum of every week every 7-10 days. You also receive e-mail communication from me. I have 18 years experience in every market type including Short Sales. This is part of my job and my enjoyment is helping Hard Working Families Like you! I have had success in closing many short sales and will be able to guide you in the complete process. Can the bank come after me or do they just get my property? I specialize in negotiating with the bank and making sure they understand that working with me and you is in everyone's best interest. The bank can ask for more information or seek other means to get payment if you have lied on your mortgage application and may or may not do this depending on the situation. If you believe you may have lied on your mortgage application please tell me. Our goal is to make sure the bank works with us to resolve this stressful situation. Why would a bank agree to do this don't they just want my home? The bank does not want to own your home. The foreclosure process is a very expensive process for the bank to carry out. There are legal fees, property fees, court fees, and additional staff required by the bank to handle foreclosures for a bank. Their main goal is to prevent properties from going into foreclosure. Cant I just do this all myself? You could, but would you go to court without a lawyer if the side that was facing you had 15 lawyers? The fact is that this is a complicated real estate transaction with a large lending institution. This process can take 100s of hours for a trained professional to complete. Most people do not have the time to specialize in completing this kind of transaction. Our team is here to take the worry out of the transaction for you. Click here to find out if A Short Sale is right for you! NRBA Member, NASSPro Member, NAR Member, CAR Member, RDCPro Certified,5 Star Institute Short Sale Specialist, VisionSale Short Sale Certified, Loan Modification Certified, RES.NET Certified, REOTrans Plantinum Certified.